Simal: Nichole came across a small scale vintage pop-up event in Australia and mentioned it to Sarah and I as a potential side business venture in Toronto. Sarah and I were immediately on board and we all brainstormed ideas about the kind of events we wanted to throw. These ideas transformed into what is now Toronto Urban Collective. All three of our Co-Founders are roommates in Toronto and classmates from the University of Waterloo. We all have a keen interest in arts, fashion and personal style and come from entrepreneurial backgrounds. Thus, starting our own side project has never been a concept we felt too removed or distanced from and we instantly ran with it. What’s the process like for artists and vendors to apply for and get their goods in your markets? A lot of artists and vendors find us through word of mouth and social media. The three of us also attend a lot similar markets and network with vendors we find appealing. Regardless of the avenue in which we connect, we require all vendors to send us an online application through our website. Our team reviews these applications carefully and announce consecutive waves of participating vendors throughout the weeks leading up to the event. How do you pick who gets in? 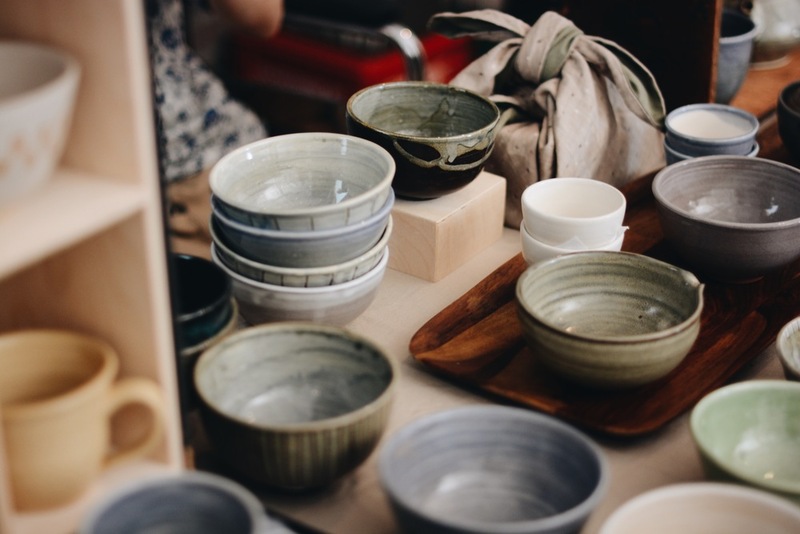 We consider our vendor curation to be one of the most important aspects of our role as organizers and differentiate Toronto Urban Collective markets by offering our attendees a top notch selection. We also consider this project to be a creative pursuit for ourselves, so the underlying question we ask ourselves before offering a vending spot is, “Would we buy these products ourselves?” We hope to have events, where the setting and vendors reflect our taste. Other must-haves that we always base our decisions on are the uniqueness and quality of the vendor products as well as an overall balanced variety of merchandise throughout our market. We cater to an urban audience that is active and involved. Our ideal audience are creatives and early adopters who are looking for niche and quality goods and services for personal and business use. Overall, our audience are trendsetting locals consisted of anyone from other artisans, young professionals, students, families, and various small/medium and large business owners. How can people get involved as volunteers? What are your plans for the future of TUC? What’s next for you? For now, we’re hoping to see a consistently growing level of success in our pop-up markets, which will be held seasonally throughout the year. In the near future, expect to see events that focus more heavily on the ‘social’ side of our pop-up/social events. Additionally, as our sponsorship community builds up, we’re looking to throw events that celebrate them directly. All 3 of us have full time corporate jobs aside from running Toronto Urban Collective. Are you guys artists as well? We are not artisans ourselves but all have varying degrees of musical and fine arts backgrounds as well as a keen eye for beauty and style. What’s been your biggest accomplishment thus far with TUC? Our very first event! We were so thankful and overwhelmed by the turnout and the positive feedback we have received during and after our event. Alongside the consistent verbal admiration we’ve received from the attendees throughout the event, we were extremely proud to have numerous vendors iterating to us the Toronto Urban Collective - Summer Pop-Up Market was one of the most well organized markets they have participated in. Considering the hours we’ve put in to make it all happen, this all meant a lot to us. What makes TUC different from other pop up craft markets? Our two biggest differentiators are 1) the focus we put on the social aspect of our events and 2) the creative curation of our markets. The differentiator for vendors is our audience, who are more than merely window shoppers but excited event-goers and curious trend-setters. In your opinion, what role does TUC play in the cultural fabric of Toronto? TUC is a platform in which art and the artists can meet their target audience and connect with like-minded individuals in the collective, fun and open environment we offer. 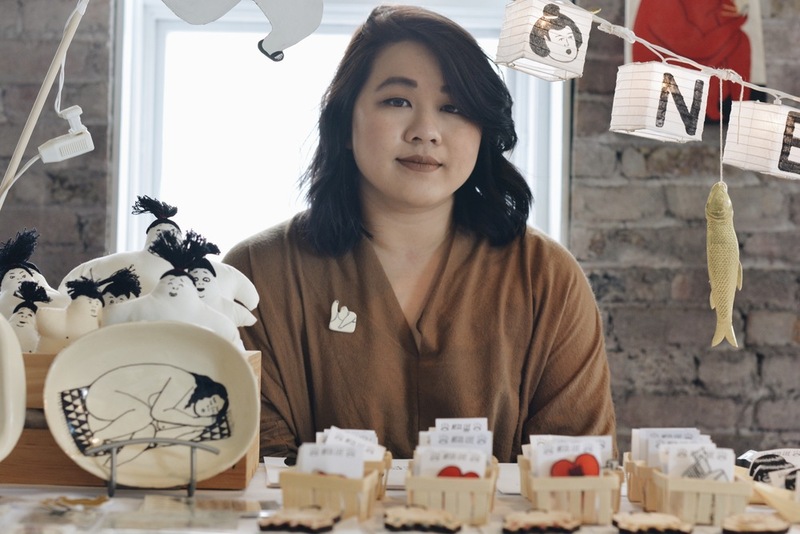 The sheer volume of talent that brims over the streets, cafes, stores and practically every corner of the city of Toronto is baffling and so inspiring. Platforms like Toronto Urban Collective assist artists with exposure and aids the artists’ themselves to influence over the cultural fabric of Toronto. In your opinion, what role does the artist play in a city like Toronto? That’s a big question! On a grandeur scale, I see the artist’s role in any society to be twofold: they transcribe culture and history for the upcoming generations, and provoke emotion as well as reflection, which is oftentimes disregarded and overlooked in societies like ours. I see the artist’s role in a city like Toronto to be not only that but also to be a balancing one. We live in a culture where structure and execution are of tremendous value and are given top priority. Although this still stands, our generation (thanks to the Internet) has come to realize that these values are only one of many. Just like our vendors themselves, much of the youth is contradicted between sustaining themselves in the corporate world and choosing a simpler life where passion and enjoyment is prioritized. Art and the artist balances the cold and competitive side of our city and reminds us to be reflective, creative and to focus on enjoying ourselves.